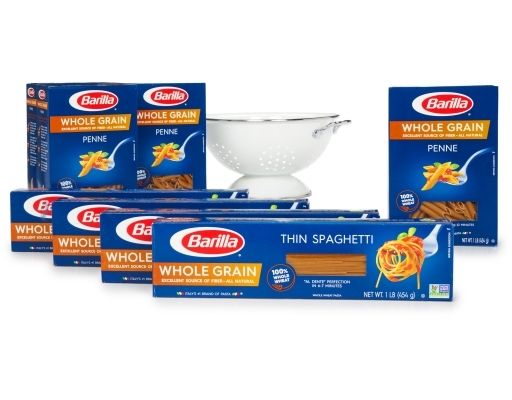 Made with 100% whole wheat, Barilla Whole Grain is an all-natural and excellent source of fiber, delivering three times the fiber of regular pasta. 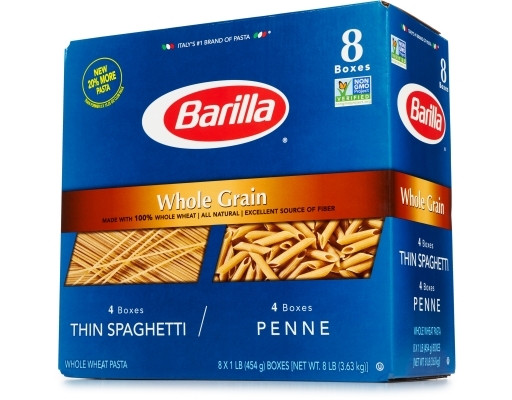 And since it's from Barilla, it has the great taste and quality that you'd expect from Italy's #1 pasta company. 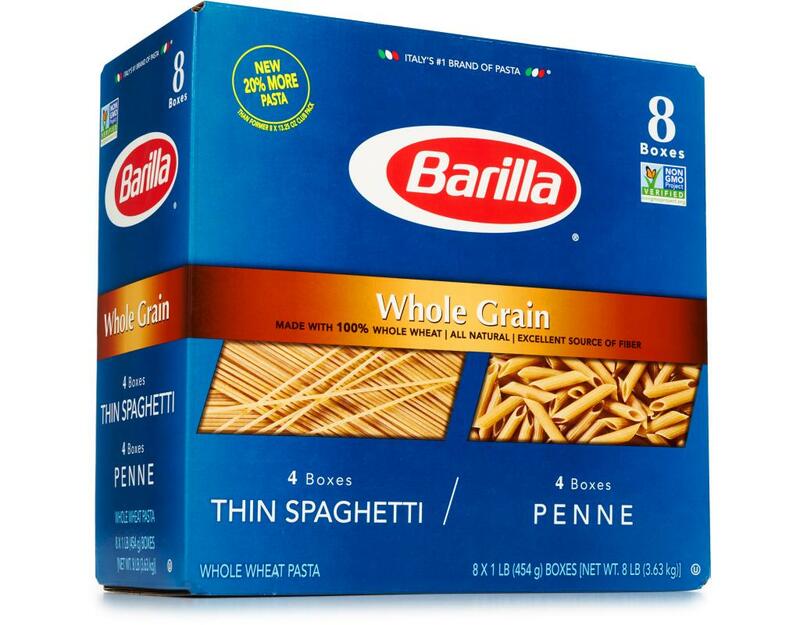 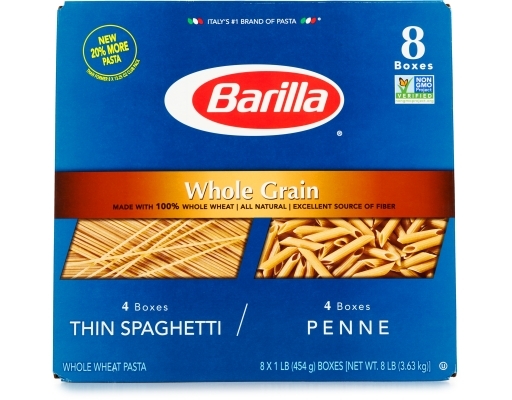 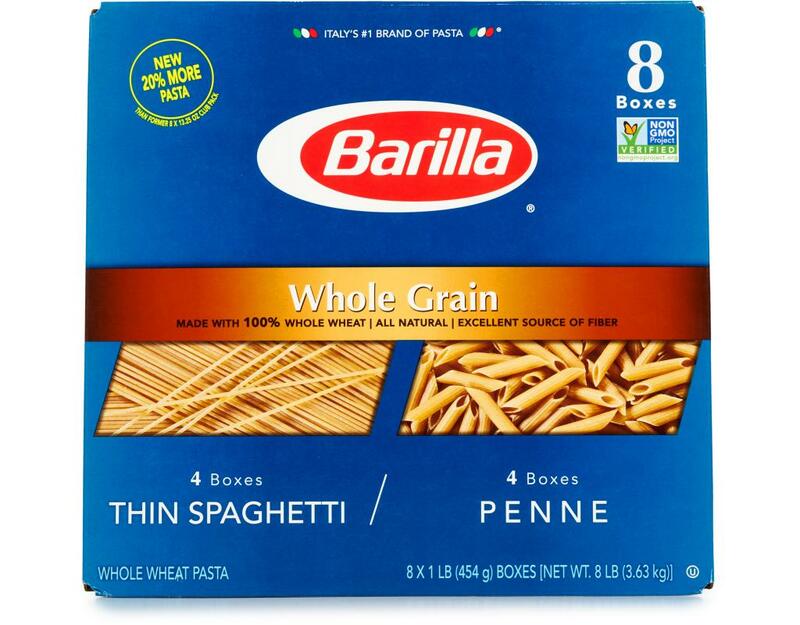 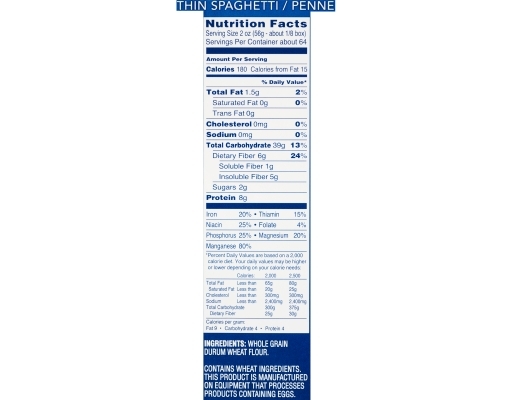 Thin Spaghetti: Made with 100% whole wheat, Barilla Whole Grain Thin Spaghetti is all natural and an excellent source of fiber. This pasta is ideal for anyone seeking to increase their intake of fiber and whole grains without sacrificing taste. 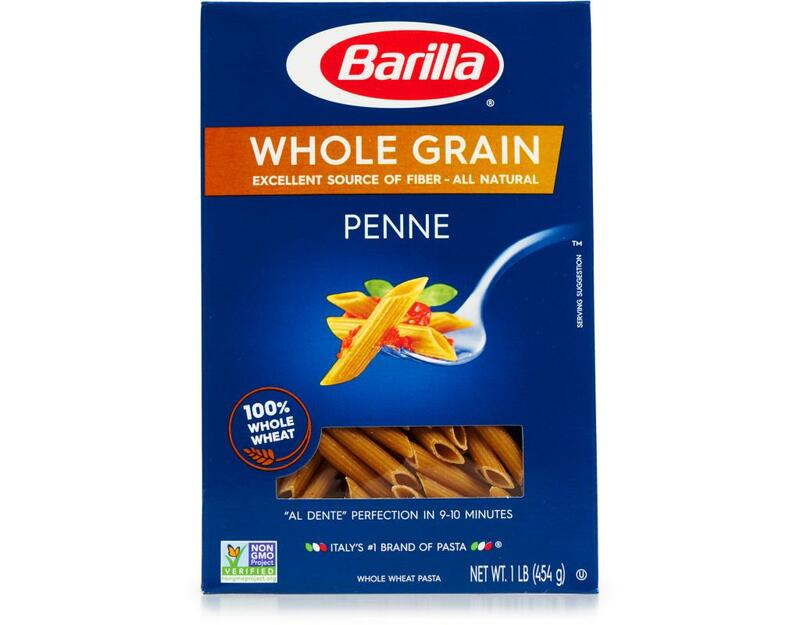 Penne: Made with 100% whole wheat, Barilla Whole Grain Penne is all natural and an excellent source of fiber. 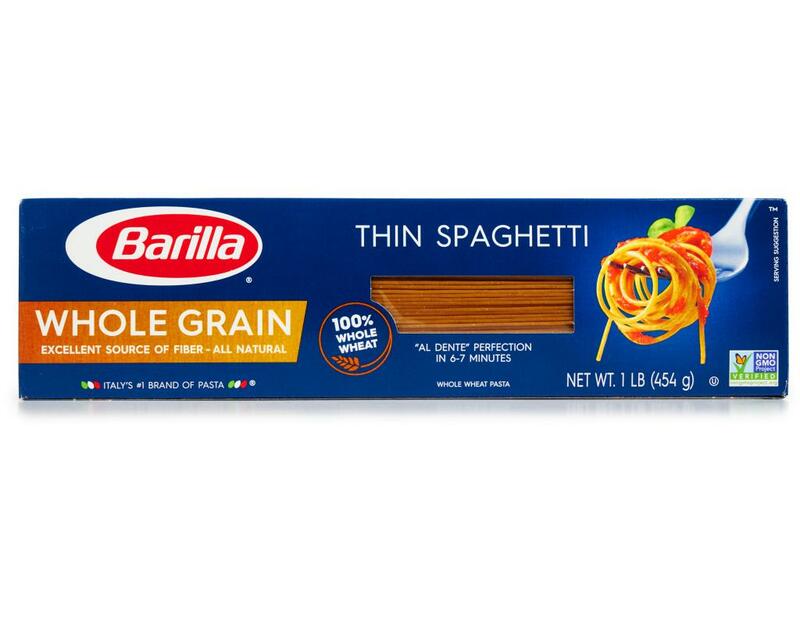 This pasta is ideal for anyone seeking to increase their intake of fiber and whole grains without sacrificing taste.